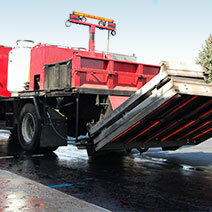 Asphalt Management Inc. performs various types of catch basin repairs, from simply rebuilding your existing manhole to completely replacing the entire drainage system. 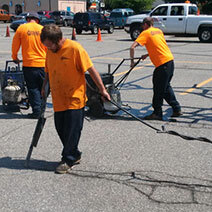 Our crews are experienced in replacing or rebuilding faulty blacktop drainage systems which are an important part of your parking lot structure. 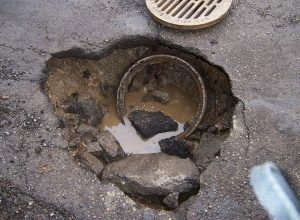 Catch basins are usually an out of sight, out of mind portion of the parking lot until sinkholes develop in your blacktop causing major headaches and liability hazards. 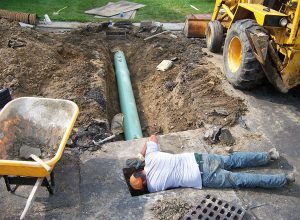 At Asphalt Management Inc. we can inspect your storm drain and evaluate small repairs that may eventually lead to costly repairs if left unattended. 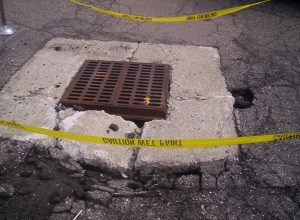 Replacement of a few blocks, some mortar or repairing a bent grate will keep your parking lot drainage system working properly. 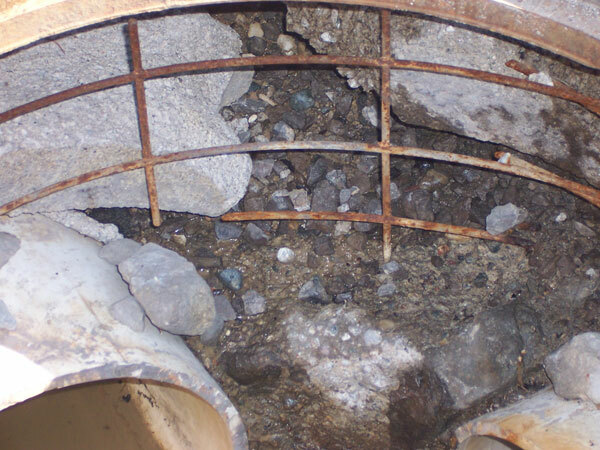 What causes catch basin collapse? 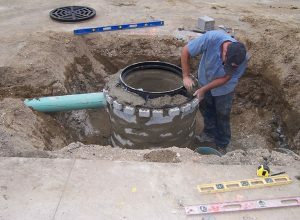 Over time blocks and bricks used to construct your catch basins begin to fail and deteriorate. This is mainly due to erosion. 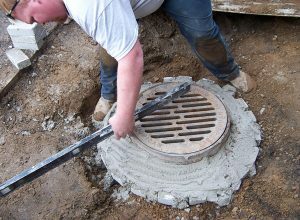 If the surrounding asphalt or concrete around your catch basin is cracked or heaved, it may be time to get your manhole and catch basin repair done. 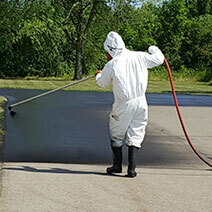 In order to prevent a costly repair, get the problem fixed as soon as you see signs of failure. 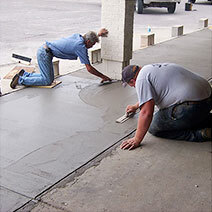 Once the blocks and bricks are deteriorated, the main structure is no longer secured. 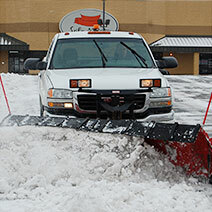 Cars driving, parking over them or even snowplows hitting them will create more stress on the steel grates. This makes the entire top structure sink, creating more liability. 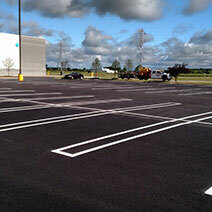 Our crews can quickly and efficiently barricade the damaged area without disrupting the flow of traffic in your parking lot. 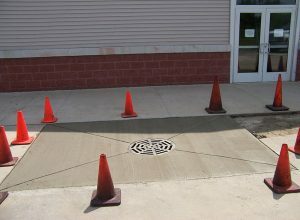 The new catch basin will be specifically made for its location. 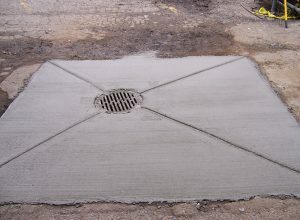 We will remove and replace all deteriorated blocks, bricks and mortar, or precast insert, re-level the existing grate and replace the failed concrete or asphalt, giving you a structurally sound catch basin. 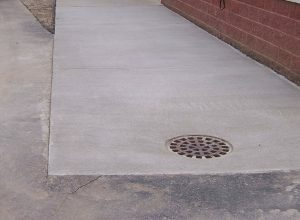 Once the surrounding asphalt or concrete apron is replaced your catch basin will be back to original engineered specifications. 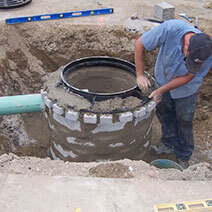 How do you know if your catch basin needs repairs? Click to find out! When a catch basin collapses it becomes not only a major liability but also an expensive repair as soon as it happens. 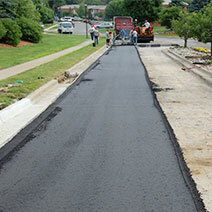 Trust Asphalt Management Inc. to maintain your drainage basin with expert precision and engineering.